At Estipona Group we consider ourselves expert eaters. 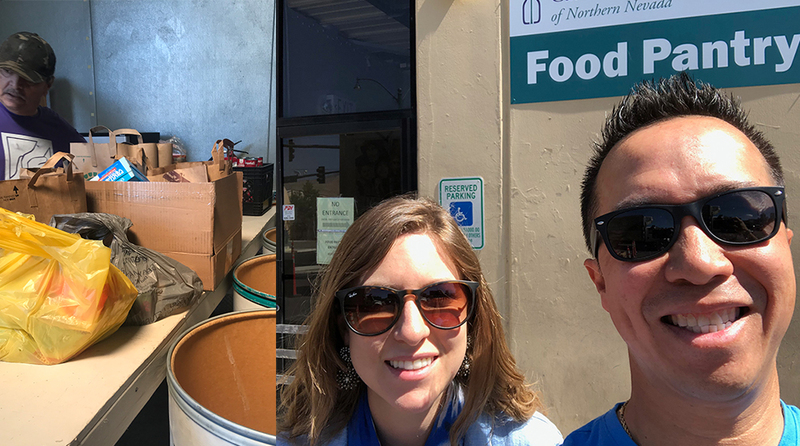 So it was no challenge at all for members of team Estipona to hit the grocery stores and peruse their pantries to gather edibles for St. Vincent's food pantry run by Catholic Charities of Northern Nevada. We delivered 10 full bags of non-perishable food to help feed our hungry neighbors. Hunger is a year-round problem in the Truckee Meadows. If you want to help, consider giving (food or money) to one of these organizations.